Batman - Dark Knight Rises is coming soon...but not soon enough. The hype is beginning and it is welcome by Batman fans all around. To launch their marketing campaign they nailed it with a viral move. They launched a blank website. Clicking on a hidden image began a chant. A chant? Some geeks wondered if there was more to it and pulled the sound up in a sound editor. They found hidden instructions. 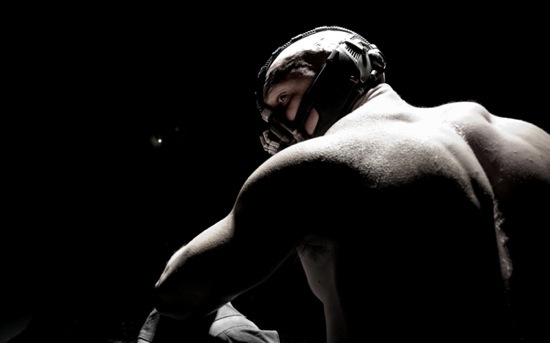 Upon completion, the following image was revealed - Batman's nemisis to come: Bane played by Tom Hardy.